The Chan laboratory’s recent findings connect vascular stiffness with glutamine metabolism in the pathogenesis of pulmonary hypertension (PH). These findings have been published in Dr. Chan’s latest JCI paper, Vascular stiffness mechanoactivates YAP/TAZ-dependent glutaminolysis to drive pulmonary hypertension, which has been highlighted in the Pittsburgh Tribune-Review. 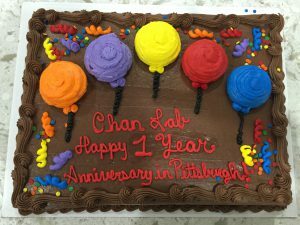 Here’s to the start of year 2 in Pittsburgh! 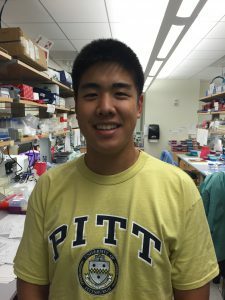 Congratulations to Joseph for being awarded a 2016 Fall Brackenridge Research Fellowship. Outstanding! Congratulations to Miranda for being selected for the Angiopathy Training Program, sponsored by the Cellular and Molecular Pathology Program at the University of Pittsburgh School of Medicine. Way to go!